Alex Hochsprung, 4, pedaled his way to a second-place finish in the 4-year-old division of the pedal pull. William “Bill” Carl Hochsprung, 89, of Hutchinson, passed away Saturday, Jan. 26, 2019, at the Harmony River Living Center in Hutchinson. A memorial service was held Saturday, Feb. 2, 10:30 a.m. at Bethlehem United Methodist Church with spring interment in the Sumter Cemetery, rural Brownton. Rev. Paul Woolverton was the officiating clergy. “What a Friend We Have in Jesus” and “I’ll fly Away” were the congregational hymns. Travis Hochsprung delivered the eulogy. Stephanie Kerbage, Karl Hochsprung, Travis Hochsprung, Laura Wagner, Paul Hochsprung, Philip Hochsprung and Katie Hochsprung were the urn-bearers. William “Bill” Carl Hochsprung was born April 18, 1929, in rural Brownton, McLeod County. He was the son of William C. Hochsprung and Laura Emilie Selle. He was baptized as an infant and was later confirmed in his faith by Rev. Gerhardt Schmidt, both at Immanuel Lutheran Church in Brownton. 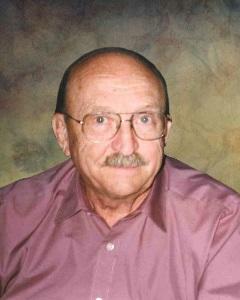 Mr. Hochsprung received his education in Brownton, and was a graduate of the Brownton High School Class of 1948. Mr. Hochsprung was united in marriage to his high school sweetheart, Carolyn Ann Peik, at Zion Methodist Church in Brownton, July 22, 1950. Bill and Carolyn had three children, Lee, Terry and David. They resided on a farm in Sumter Township and later moved to Glencoe and lastly Hutchinson. Bill and Carolyn shared 68 years of marriage. Mr. Hochsprung began his career farming with his parents-in-law, Adry and Violet Peik. He continued to farm for many years while Carolyn taught kindergarten in Glencoe. Mr. Hochsprung retired from farming in 1987. He then worked for Mystic Lake Casino where he made many friends. Mr. Hochsprung became a member of Bethlehem United Methodist Church in Hutchinson after the closing of the church in Brownton. He was a member of the Brownton Rod and Gun Club and was instrumental in getting the clubhouse built which is still in operation. Mr. Hochsprung was also chairman of the Day Activity Center Board in Biscay and was a leader in getting Averyon Home built in Hutchinson. Having a son with special needs gave Mr. Hochsprung a passion for helping to provide services for others with special needs. Mr. Hochsprung enjoyed fishing, spearing, hunting, playing cards and ballroom dancing. He also enjoyed extensive travel, including trips to London, Spain, Greece, Turkey, and China among many others. In later years, Mr. Hochsprung enjoyed pulling the “one-arm bandits” in Laughlin, Nev. He liked to promote spirited political discussions among family members. Mr. Hochsprung enjoyed spending time with his family, grandchildren, great-grandchildren and friends. Mr. Hochsprung passed away peacefully Saturday, Jan. 26, at the Harmony River Living Center, at the age of 89 years. Blessed be his memory. Hochsprung and his wife, Rose, Laura Wagner and her husband, Joe, Paul Hochsprung and his wife, Jacquelyn, Phillip Hochsprung, and Katie Hochsprung; great-grandchildren, Lily Anne Hochsprung and Jacob Lee Hochsprung; sister, Laura Hochsprung of Minneapolis; many other relatives and friends. Mr. Hochsprung is preceded in death by his son, Lee Hochsprung; parents, William and Laura Hochsprung; sisters, Lois Reagen, Cornelia Templin, Agnes Green, Helen Templin, and Edith Siegel; brothers, Loren Hochsprung, Harold Hochsprung, and Clarence Hochsprung. Dobratz-Hantge Chapels in Hutchinson handled the arrangements. Its Web site is www.hantge.com where online obituaries and guestbook are available.